Stand on one foot, stick the foot that is up out front and make little circles with your toes. Hop on that foot. Switch feet. Do Sirens. Start high pitch and go as low as you can. Use your finger and start high and as you go down take your finger to the floor. Start with your finger low and your voice low and go up. Massage your face. Make sure to get your cheeks, chin, jaw, eyes and forehead. Repeat 4 and 5 several times. Peter Piper picked a peck of pickled peppers / If Peter Piper picked a peck of pickled peppers / How many pickled peppers did Peter Piper pick? In this game groups of participants will work together to advertise for an imaginary product. To begin, break the participants up into groups of 3 to 5. One group will make the advertisement at a time, the other participants can be observers. Get a suggestion from the observers or have an idea prepared. For example a peace maker, a never empty water well, etc. Sidecoach: You are the creative team of advertisers for the peace maker. Tell us all about what it can do! Person 1: Well our peace maker allows people to see similarities between themselves and others. Person 2: Yes and it has a built in mediator when there is a disagreement. Person 3: It can find land for everyone to live on. Person 4: Yes and it can find land for everyone to live one. In reverence, talk about what they were selling and how it would help. If this thing existed would it help or hurt? Would it use resources well? What was it like adding to someone else’s ideas? Did it make the product better? McKnight, Katherine S., and Mary Scruggs. The Second City Guide to Improv in the Classroom: Using Improvisation to Teach Skills and Boost Learning. San Francisco: Jossey-Bass, 2008. Print. Great for the themes of: Economy, Vocation, Common Ground, Creativity, Imagination, and Grace. To begin this exercise make sure the participants have a specific space that they can walk freely in. That is define the boundaries of their space. If there are lots of participants, divide the group into smaller groups of about 8-10. Have participants walk the space freely. Call out “Freeze” and “Unfreeze” to get participants used to getting still. After several times, call out “Freeze” and explain that you will unfreeze one participant at a time to walk the space. Unfreeze one person and let them walk around for a few moments before re-freezing them and unfreezing another participant. Make sure everyone has the chance to walk the space alone with others frozen. When the final person has been re-frozen, explain that they, not you, will give the signal to move. They will do this without speaking or touching. Only one person may move at a time. Let them do this until everyone has moved once. In reverence, talk about what it was like giving and taking movement. How did it feel to give someone movement and know they were taking yours? Was it hard to give away? Was it worth it? Great for the themes of: Generosity, Liberation, Freedom, and Hospitality. This is an improvisation based exercise. It is good for beginners, and only needs to last a few minutes. This exercise will be done in pairs. When a pair is doing the exercise the other participants will be observers. To begin the exercise get from the observers or have prepared characters, a place, and an activity. Let participants begin the scene. At moments you feel appropriate, shout out “Tell the truth!” The person that just said a line must change to something new without hesitation. Do this several times for both participants. In reverence, talk about what the truth was or is. What was more truthful, what you said first or your other options? Was it hard to remember what “truth” you told? Great for the themes of: Truth, evil, insight, change, and Memory and Hope. 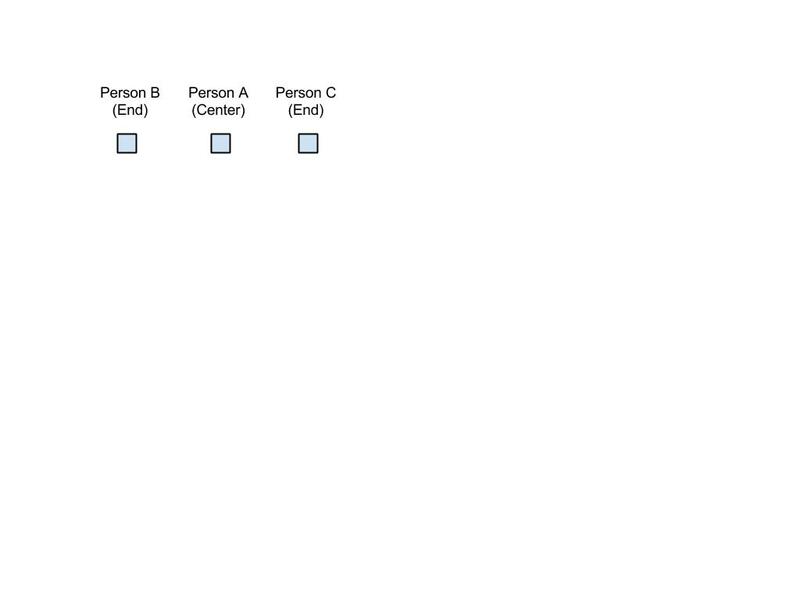 To begin this exercise divide the participants into groups of 5 to 8. One group will go at a time with the others being observers. Members of the group should stand in a semi-circle facing the sidecoach and observers. Make sure it isn’t a line, but a semi-circle. This allows the participants to see and listen to one another better. The side coach will ask for or provide a topic for the story. Once the topic is chosen, the sidecoach will sit on the floor in front of the semi-circle. The sidecoach will point to one person who will start the story. When that person has told a portion of the story, the sidecoach will signal that person to stop while pointing to another person in the line. That person will pick up the story without hesitating, even if it was in the middle of a sentence or word. Go through until each person has gone about twice. In reverence, talk about what it was like making the story. Was it a good story? Did it have a beginning, middle and end? How did the story change or stay the same between people? Great for the themes of: Myth, the sources, Creativity, Imagination, and scripture. To begin this exercise divide the participants into groups of about 8 to 15 people. Give each participant a random playing card. Tell the participants to think of a type of person or character that would match the status of card’s place in the deck. For example, if a person has a King they might think of a powerful politician or a rich celebrity. If the person has a two, they might think of someone in poverty living on the street or someone shy and awkward. Explain that the participants will mingle in character for a few minutes. Remind them that they are not to tell who they are, but rather show it. Tell them to think about how the status of the character makes them move, walk, talk, even breath. After a several minutes of mingling ask the participants to line up from lowest in the deck to highest. In reverence, talk about what it was like exploring status. Were they able to arrange themselves correctly at the end? What was it like to be low in status? High in status? How did people of differing status interact? Great for the themes of: Wisdom, Evil, Salvation, truth, Brokenness, Economy, and insight. Sidecoach: Ok the reverend is an expert in wisdom. Who has a question about wisdom? Congregation Member: How do you get wisdom reverend? Each group should answer a few questions, depending on the size of the group. In reverence, talk about how they answered together. Was it hard or easy knowing what to say next? Was your answer true? Was your answer what you thought it was going to be? Great for the themes of: Wisdom, the sources, truth, and insight. Sidecoach: Send your sight out into the world around you. Your sight is a part of you. Send your sight out to the middle of the room. Allow an object to come into focus. Let the object be seen and let it see you. Keep changing objects around the room. Move your eyes as far right as you can, not your head just your eyes. Move them as far left as you can. As far up. As far down. Try to see behind you. Don’t move your body or head, but see behind you. In reverence, talk about what you saw. What was it like truly seeing things around the room? Do you see well or wear glasses/contacts? How could you do this if you were or are blind? How is actual vision the same or different than the vision that is our theme? Great for the themes of: Vision, insight, divinity, simplicity. This is a basic imagination, creativity and mime game. Before the exercise prepare by getting used to miming a ball that can be changed. As the sidecoach you should be well acquainted with some of the mime before you teach it to others. Begin by getting the participants into a circle or surround the space. Tell them that you are going to give them an amazing gift. An Everything Ball. Take the everything ball out of your pocket or out of an empty bag. Explain that this is your everything ball and that it is amazing because it can be anything and everything. Take a moment to rip off a small piece of your ball and give it to each of the participants. Asking them to hold out their hand to receive it. Sidecoach: Let’s make our ball the size of a tennis ball. You will need to stretch it from the piece I gave you. Let’s throw our ball up in the air and catch it. Let’s bounce our ball on the ground. Let’s make our ball the size of a beach ball. Bounce it up in the air on your hand. Now our ball is as heavy as a bowling ball. Wow that is heavy. Now it feels like a small boulder. Remember to lift with your legs. Sidecoach: Let’s make our ball into a hammer to build a new home for someone that needs it. Use your hammer. Let’s make our ball into sandbags to stop a flood. Stack your sandbags. Let’s make our ball into a machine that will end hunger. Let’s make our ball into something that make bad actions good ones. And so on for as many as you would like. Make sure at the end of the exercise participants put their Everything Ball into their own pocket or bag to take with them. In reverence, talk about the power of the Everything Ball. What other problems could it fix? Do you have a visible tool that you could use? Great for the themes of: Imagination, Creativity, Justice, Ultimacy, Salvation, Preparation, Divinity, and Evil. Give the people on the ends two different topics to discuss with the person in the center. Explain that the person in the center has the job of listening and conversing with both people at once. Remind the people on the ends that they should avoid questions and try not to talk about the same thing as the other person on the end. They should have the conversation with the person in the center as if the other person on the end did not exist. Make sure that each person in the trio is able to be in the center. In reverence, talk about what it was like listening to and participating in both conversations. Did you miss important information? Do you know what both people said? Was it too complicated to keep up? How was it different than a simple conversation with one person? Great for the themes of: Simplicity, wisdom, and myth. This could work with any theme if you provide it as the topic of conversation.